For many, an oceanview home in the Hollywood Riviera is unaffordable. 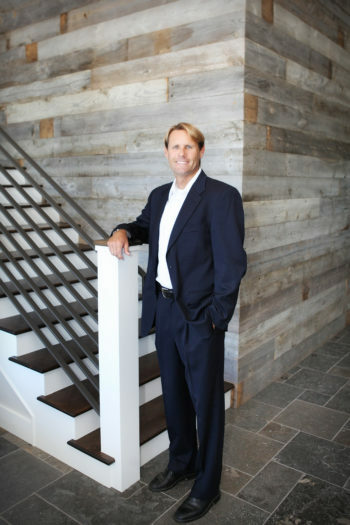 One option may be Village Palos Verdes located just south of Palos Verdes drive. 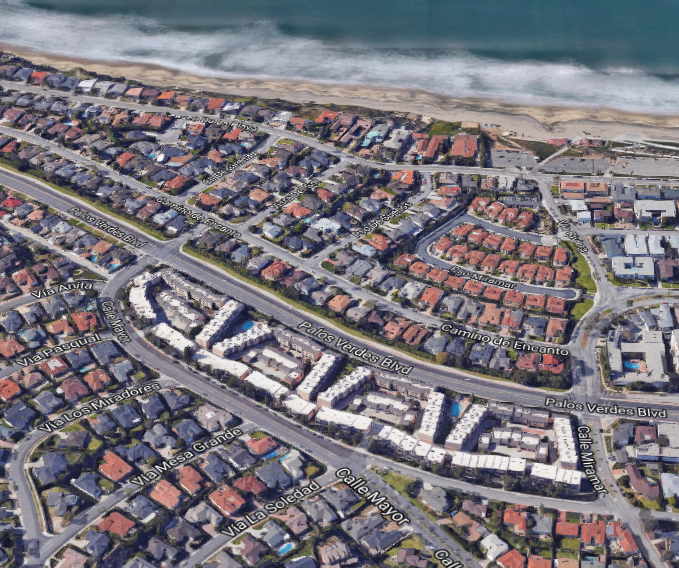 Not only do many of the townhomes have great ocean views but the location is ideal with the community just a short walk to Torrance beach and Paseo De La Playa. The complex consists of approximately 180 units with current HOA (as of 8/17) around $480 a month. 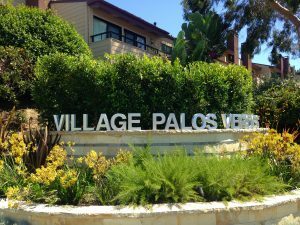 The street addresses for the homes in Village Palos Verdes are either Calle Mayor, Calle Miramar, Camino De Las Colinas or Palos Verdes Blvd (see map below). The homes are a combination of 2 and 3 bedrooms generally on 3 levels ranging between 1350 square feet and 1905 square feet. All have attached garages. The townhomes were built between 1974 and 1978 with some still having a fairly original feel and some being extensively remodeled. The community offers a pool and spa and is ideally located just a few blocks from the beach. 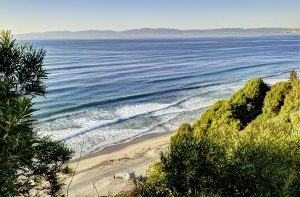 Click here to see the current homes for sale in the Hollywood Riviera and Village Palos Verdes. For many years the concern about the community had been the large special assessment needed to update and renovate the exteriors from the original wood siding. Those changes took place several years ago and the community now has a wonderful look and feel.